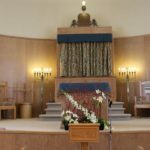 As Merle Stoltzenberg, past TOL Treasurer, likes to remind us, Tree of Life is not just a building, a religious school and a place for shabbat observances. It is here to meet the needs of our congregants at times of happy, sad, joyous and solemn life cycle events. If you are anticipating a birth, contact Rabbi Joe to discuss ceremonial welcoming options. Marriage being planned? Bar/Bat Mitzvah? We look forward to helping make your simcha memorable. When the news is sad, Tree of Life and Rabbi Hample are here to assist with appropriate funeral and grieving rituals. If you have a yahrzeit that you would like to be announced at Shabbat, send a note Tree of Life Congregation, Morgantown, WV and we will route it to the right person.